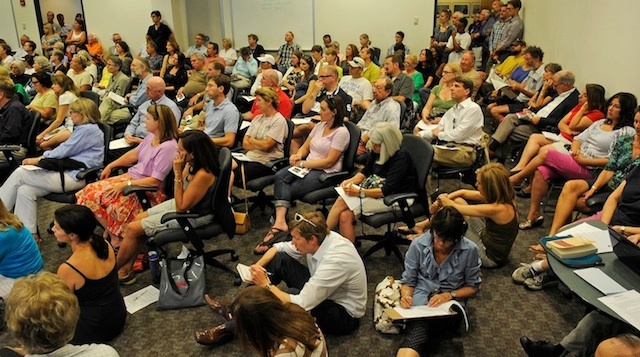 Are “One Percenters” Shaping the Public Debate about 9th and Colorado? We’ve been writing a lot about 9th and Colorado lately. Consequently, the Denver website This Could Be Interesting suggests that We Might Be Obsessed. The number of 9th and Colorado posts at Intercultural Urbanism currently amounts to just under 20% of the total. If that’s obsessed, then I guess we are. 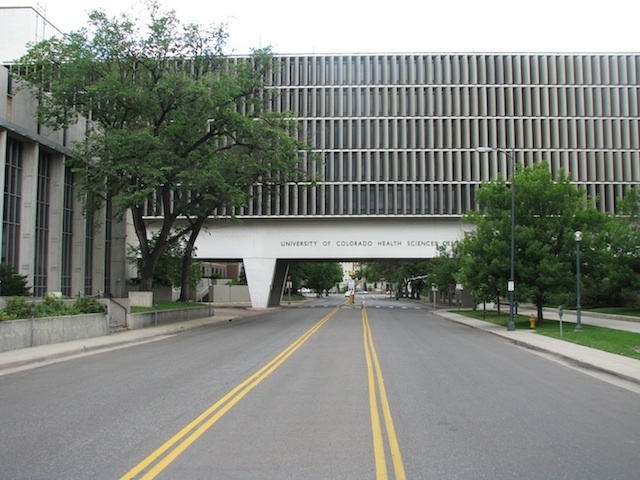 However, the development of 9th and Colorado is an irresistible topic because issues of race, class, culture, historic preservation, urban planning, corporate ethics, citizen activism, city council politics, and urbanism (specifically New Urbanism) are colliding in some particularly interesting ways. Minimally, we provide an alternative to pro-developer and anti-developer websites. Speaking for the developer, Marcus Pachner mentioned that the General Development Plan addresses these issues. A separate budget will be available for maintaining open space. The residential component will be high end. Many in attendance, including Planning Board members, appreciated the concern about the plan’s deficit of visual information. The site renderings are illustrative only, but they are also aspirational given comparable infill developments that have been produced elsewhere. The project’s architects reiterated their intention, reported here, that the development will incorporate a variety of architectural “looks” to break up the mass of bigger buildings, and use shape changes, color, and other aesthetic moves to alter the “rhythm” of the complex. The Planning Board decided that the guidelines are adequately prescriptive to ensure a high quality product. The motion to approve them passed unanimously. 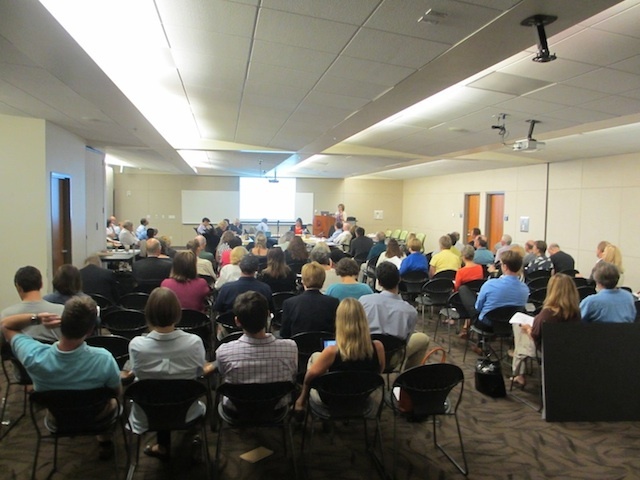 The CBHD board meeting, attended by an overflow crowd, was a bit livelier. The Denver Post has the story as do 9 News and Fox 31. The Post story notes that, because of ground rules that limited the public to just asking questions, the August 2 meeting “lacked much of the invective that permeated the June 26 meeting.” Still, there were audible grumblings and some spontaneous outbursts of opposition. The neighbors remain deeply concerned about Walmart’s presence despite assurances (supported by conceptual renderings) that the store will be appropriately scaled and architecturally-detailed. Citizens are especially concerned about the possibility that the store will be open 24 hours. They were assured that covenants and binding contracts will prevent the sale of firearms. That assurance should be held as sacred by all parties for the entirety of the development’s lifespan. But with the Aurora shooting still fresh in every Coloradoan’s mind it’s not clear that neighbors will accept this repeated assurance. This stands to threaten the 87% of the project that’s non-Walmart related. Citizens were assured that all public financing will go to the infrastructure to support development, not to the developer or to Walmart. There were several blunt questions about what it would take to stop the project in its entirety. The City Council vote to approve or not approve public subsidy (TIF financing) will be key, but that vote is still some months away. Mr. Pachner was again on hand and he suggested—quite reasonably, I think—that public response to the current plan has been “too fixated on one element,” namely Walmart. There’s a bigger picture with multiple attractive features. For example, the preserved Nurses Dorm—if done right—has the potential to provide a wonderful mixed use “heart and soul” of office, medical, senior housing and/or family housing space. There’s provision for good open space and the preservation of mature trees. Some of the restaurants will be distinctive, “chef-driven” establishments. That prompted an audience member to request an example of a chef-driven restaurant that has followed Walmart into an upscale development “anywhere in the universe.” Nothing specific was offered in response, except a conviction that such restaurants will come (it was noted that none of the potential tenants so far approached has an issue with the prospect of co-residing with Walmart, and that chef-driven restaurants are typically the last establishments to sign on). On this point I can’t help wondering if the quest to secure high-end, chef-driven restaurants—even ones that are otherwise Walmart-averse—wouldn’t be helped by preserving or creatively modifying a few more historic structures on the site, such as the iconic 9th Avenue Bridge that’s currently slated for demolition. In its original development plan Shea Properties envisioned the bridge as affordable housing space, but like other elements of its plan the dream ran afoul of infrastructural limits and a TIF funding gap. Alternatively, a restaurant on the bridge (even a modified bridge) would be a pretty distinctive thing. It might be worth re-considering the infrastructural investment that’s required to allow something unique to happen in several historic structures on the site. I live in a rather special world. I only know one person who voted for Nixon. Where they are I don’t know. They’re outside my ken. But sometimes when I’m in a theater I can feel them. Change the subject of this quote from Nixon voter to “poor person” and you get a sense of the attitude that’s held, I think, by a fair number of those who are especially worried about the current plan for 9th and Colorado. Neighbors have reasonable concerns about Walmart’s business ethics. But they also don’t want poor people flocking in and changing the character or “tone” of the neighborhood. This has been made abundantly clear not only in social media but also at open public meetings. As noted previously on this blog, census data and simple observation indicate that ethnic and class diversity already exists in the 9th and Colorado trade area, especially in the Hale neighborhood. The ethnic diversity might only rise to the level of what the Pew Research Center would consider “moderate” (the Denver map can be found here), but it’s there nonetheless. With respect to class, available data indicate that average household income for Hale and some neighborhoods immediately adjacent to the site to the north and west is below the Denver city-wide average. As argued previously on this blog, this demographic underclass might appreciate the availability of a value shopping alternative, especially one that’s within walking distance. What this also means, of course, is that Walmart (or any other Big Box retailer) shouldn’t go too far to provide an “upscale” shopping experience for local residents. Great world cities aspire to be Cosmopolis, not Pleasantville. The CBHD Board wisely promises to form subcommittees to discuss big topics of concern like tenants and amenities, retail labor practices, and the impact of the Big Box on small businesses. And, wisely, these subcommittees will include citizen representatives. In the meantime, the next two public meetings of the CBHD Board are on September 6 (to talk transportation) and October 4 (to update the developer’s plan in light of additional public comment). Both meetings are 4:00 pm, at the Molly Blank Conference Center of National Jewish Hospital. I find your view of the 9th and Colorado project a breath of fresh air as it is difficult to find someone’s perspective that is for the project and also lives in the general area. I live three blocks from the proposed site and will be impacted by the project whether I like it or not. My initial view of the project was positive as it would provide additional buzz along a corridor of east Colfax that seems to be expanding by the day. However, I was turned off when I heard the unprincipled tactics the developer has utilized since disclosing the project to the public. The fact that the development lives or dies with Wal-Mart is also unnerving. Do you feel that these large developments compromise our Country’s unique neighborhoods? It seems as though you lose that intangible sense of neighborhood when you live next to a large enterprise like Wal-Mart, Target, Home Depot, ect. Take Belmar for example. It doesn’t feel like a community or a neighborhood. It leaves an impression that you are welcome as long as you spend money or stay for a business lunch. We all know the negatives regarding Wal-Mart as an employer and how they take advantage of their employees, suppliers, and their local communities. However, it is difficult to swallow the notion that since I don’t want Wal-Mart in my backyard it’s due to a political agenda. I know that I don’t shop at Wal-Mart or Target and prefer shopping at local or publically-traded businesses marketed as organic, but this development feels as though the heart of the community is being sold and manipulated. It will create jobs, but I would rather employees from my neighborhood be hired by a Company without the need for a union for protection. I could care less about increased traffic, increased taxes, or chain-restaurants, I only care that it is not Wal-Mart. I admit that I find this fascinating. Anyone else is okay, but not Wal-Mart. Since I live in the neighborhood I’m all of a sudden viewed as being the 1%. We all know this picture painted of the neighborhood isn’t true. Something people who don’t live in the neighborhood don’t understand is that by not wanting Wal-Mart here we’re denying the 1%.